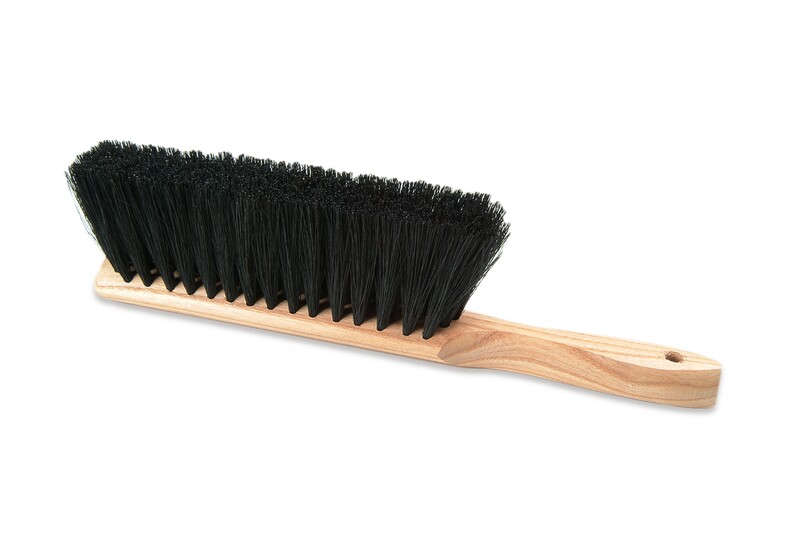 A traditional lower priced bench duster. Filled with all black treated tampico fiber. Good utility brush for all types of general brushing with limited curling and matting. Not too stiff or too soft.12-3/4" OAL, 8" Brush Part, 2 1/4" Trim. 04021 2 1/2" 8" 12 3/4"